Those elements are exosomes — vesicles that transfer molecules from cell to cell — and a small carbohydrate-binding protein known as galectin 1. The team will use the results to optimize the neuroprotective qualities of a stem cell treatment they developed to improve the mobility issues associated with spina bifida. Published in the Journal of the Federation of American Societies for Experimental Biology, the study was led by Aijun Wang, co-director of the UC Davis Health Surgical Bioengineering Laboratory. UC Davis Health fetal surgeon and study co-author Diana Farmer first showed that prenatal surgery reduces neurological defects in children with spina bifida, which occurs when the spinal cord does not properly close before birth. Children with the condition experience a range of lifelong cognitive, urological, musculoskeletal and motor disabilities. Farmer and Wang, her chief collaborator, later showed that prenatal surgery combined with human placenta-derived mesenchymal stromal cells (PMSCs) improved hind limb control in lab animals and dogs with spina bifida. 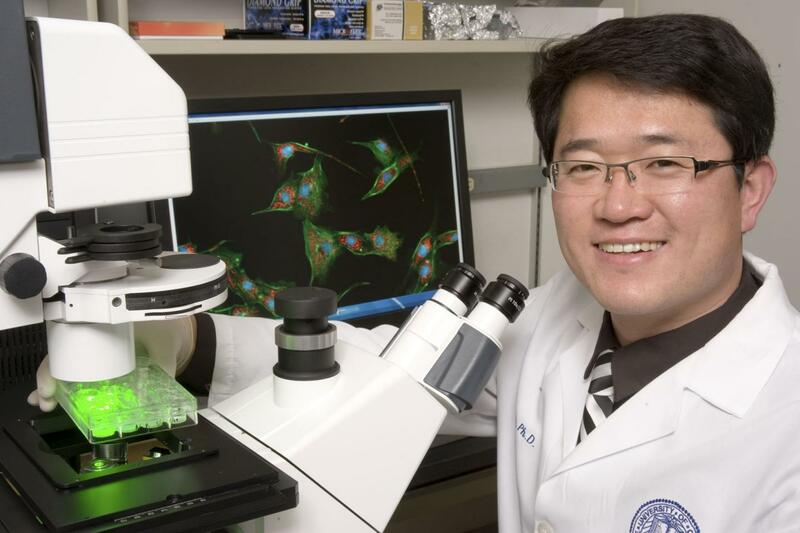 The new study also could help the researchers produce a cell-free treatment for spina bifida and other spinal cord injuries based on byproducts of stem cells rather than the stem cells themselves, according to Wang. Stem cells can heal, however they also can influence the broader immune system and treatment site, making the possibility of cell-free treatment highly attractive. In addition to Wang and Farmer, study authors were Priyadarsini Kumar, James Becker, Kewa Gao, Randy Carney, Lee Lankford, Benjamin Keller, Kyle Herout and Kit Lam, all of UC Davis Health. Gao also is affiliated with The Third Xiangya Hospital of Central South University in China. Their study, titled “Neuroprotective Effect of Placenta-Derived Mesenchymal Stromal Cells: Role of Exosomes,” is available online. This work was funded by the California Institute of Regenerative Medicine, Craig H. Neilsen Foundation, Shriners Hospitals for Children, National Institutes of Health (grant numbers 5R01NS10076102, R03HD09160101), March of Dimes Foundation and UC Davis Center for Biophotonics. More information about UC Davis Health and its Department of Surgery is at health.ucdavis.edu. More information about spina bifida and its treatment is on the UC Davis Children’s Hospital website.